During the beginning of the sixteenth century, a mystic by the name of Giulio Camillo attempted to construct a memory theater, a place where all the things of the world and the universe could be seen and experienced. His utopian model for knowledge was based on 49 crucial memory images constructed from mnemonic devices and drawn from biblical, classical, and esoteric sources. His project was never completed and only a written text about his intentions remained. 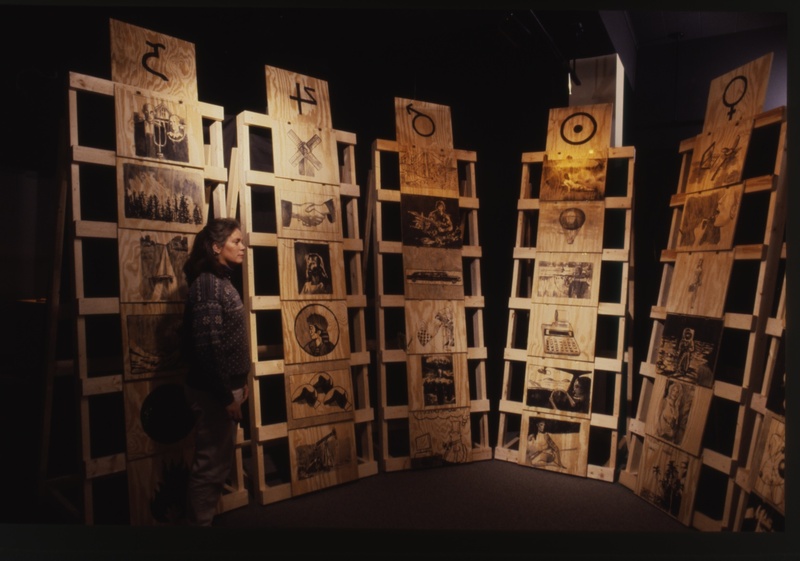 This project attempted to reconstruct Camillo’s theater, first physically as an interactive museum, and then virtually as a search engine, trying to put forth the notion that Camillo was really trying to envision something similar to the internet back in his own time, as well as trying to articulate the notion of the encyclopedic museum. The classic icons given by Camillo to the theater were replaced, through questionnaires, by contemporary symbols provided by students and other communities who participate in workshops connected to the project, so each installation the imagery of the theater changes. 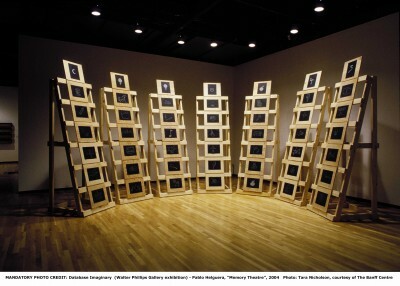 The project was first exhibited at the University of Montana in 2001 and since has been traveling to various locations, including the Banff Center in Alberta, Canada, for the exhibition Database Imaginary (2004). The story of Giulio Camillo was included in the performance Parallel Lives (2003).